They don’t get the attention that some non-traditional ingredients may receive (like fruit beers), but nuts of all kind make for fun brewing ingredients. Get tips on the types of nuts (and their various forms from chopped to extracts) to use, as well as when and how to use them from three pros who aren’t afraid to go a little nuts. Your first exposure to New Zealand hops may have begun with Nelson Sauvin in the early 2000s, but the hop industry down under actually dates back almost 200 years. 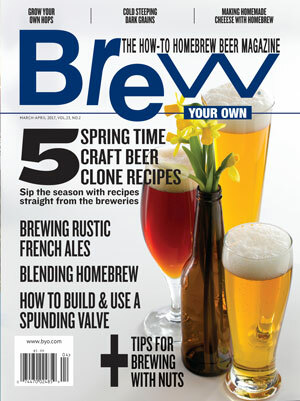 Blend homebrews to create historic styles like gueuze or a third beer from two different batches. The Wizard explains how hop pellets are made and the effect different types of light have on wort and beer. Homebrewing experts weigh in on and debate the merits of immediate wort chilling, decoction mashing, dry hopping, and brewing pumpkin beers. This Gueuze is a typical, traditional Belgian-style recipe. Brew frequently throughout the year cellaring your Gueuze for months to years. After a year, if you have at least 3 batches of different ages, you can begin experimenting with blending. Your best option is to test your patience and begin blending after 3 years with a minimum of 3 batches.